The contest is now closed and the winners have been chosen. Thank you! 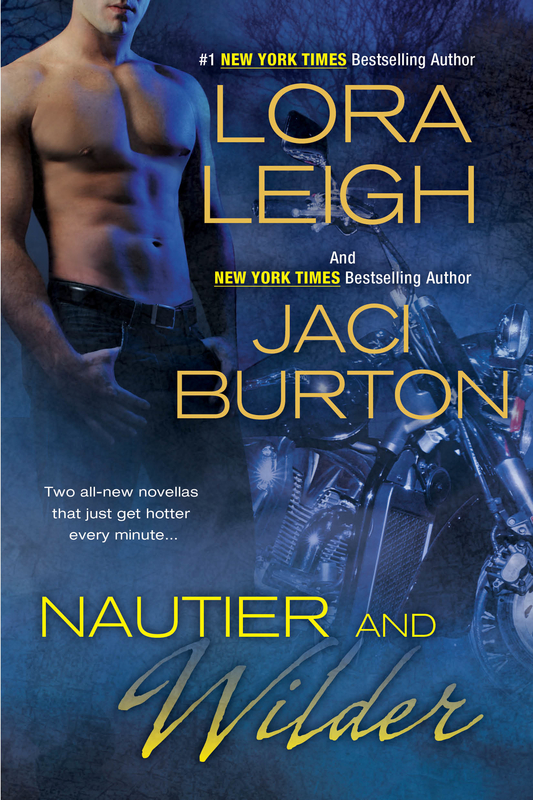 Nautier and Wilder releases in just a few weeks, and the good news is, I have five advance copies to give away! I’m so excited for the release of this book and for you to meet Jed Templeton, my newest Wild Rider, in my novella, Riding To Sunset. And I’m paired, once again, with the amazingly talented Lora Leigh! To be entered to win, tell me your favorite thing in your kitchen. Is it your microwave, your mixer, your favorite cutting knife? Or do you avoid the kitchen altogether? My favorite kitchen item is my food processor. I love that thing. It’s a chopping, slicing, dicing beast. I’ll choose winners on Friday morning. Be sure to come back here to my blog to see if you’re a winner. I’m on deadline and don’t have the time to track everyone down. Winners will have 5 days to claim their prize or I’ll draw for new winners. My favorite kitchen item is my new pots and pans that I just got. I love them…they are red! My slow cooker for sure…I love coming home from work and having supper already made 🙂 Can’t wait to read Nautier and Wilder. I miss the Wild Riders! My coffee maker its also the most used item in the kitchen. My oven – there is the big portion for multiple or large items and the top half for a small tray! My favorite appliance in my kitchen is my fryer. I love to make fried chicken. But, my favorite non-appliance is my husband. He is an amazing cook! I don’t think that there is anything he can’t cook. My microwave is my favorite thing in my kitchen. A few years ago we were without power for eight days, and the microwave was the most missed appliance. My favorite thing is a tie between my Kitchenaide mixer and my Keurig – LOVE them both – just like your books!!! My fav thing is a cooked meal I didn’t have to cook and a clean kitchen I didn’t have to clean!! Would have to be my kettle & husband. LOL Kettle kick starts my day w/ coffee or tea. My hubs bcuz he’s an exceptional cook and doesn’t mind whipping up as many of our meals as possible. Can’t wait to read the next Nautier & Wilder stories!!! WOOT! My favorite thing in the kitchen is the microwave. I love my oven since I really enjoy baking- I bake cakes and breads and I just love the smell of fresh baked food in the house, especially the smell of fresh yeast when the bread or cake are raising. Favorite item in my kitchen has to be my Rabbit wine bottle opener, that thing gets a workout 🙂 Love your books Jaci!! My favorite thing in my kitchen is my George Forman Grill…cooks so fast! I avoid it all together. I wish I liked cooking, but I don’t. And my mixer. I love baking. My favorite thing in the kitchen is the granite counter tops, love! Now I have to keep the counters free of clutter so I can see them. My is my mixer I love to bake but I also love cooking all togeathere. I have a special bond with my 99yr old Grandma because I always cooked with her growing up. I love being in the kitchen, my hubby and I cook togeather all the time I love it! I make my Grandmas homemaid sauce and meatballs everyother month when I have the money to lol. I’m full blooded Italian so homemaid cookin is in my blood lol. I love your books thanks for another wonderful give away you ROCK!!!!!! My favorite kitchen item(s) is my slow cooker and Keurig. Can’t wait for Nautier and Wilder!!!!! My Keurig! I couldn’t live without it! My favorite thing in the kitchen is the dishwasher! Favorite think in the kitchen? I try to avoid the kitchen as much as possible. But when I am in there my 2 favorite things are the microwave and the dishwasher. I’m sorry but I cheat like that plus I like things that are fast! My microwave–I can heat up my takeaway. I don’t want to think I’m so like everyone else, but my favorite thing in my kitchen is my Tassimo. Every morning I start my day with a latte to rival Starbucks and I don’t have to get dressed first! I miss the ” Wild Riders” too Jaci ! (waiting impatiently for “Nautier & Wilder” ! I would say my favorite kitchen appliances have to be my Crockpot & my Toaster oven,Dishwasher & my Microwave, Living in the desert in Phoenix,Az, I don’t like adding extra heat to the house when I’m cooking ~ thanks for the contest & the opportunity !!! Tea pots…I can handle a great deal with a good cup of tea. Well not only my coffee maker that I lust over it would have to be my Kitchen Aide stand up mixer. I love to bake and it is a life saver!! i have 2 favs in my kitchen and they are. .. My hubby when its his turn to cook and my hand held blender, so everything thats cooked my littlest addition can have too instead of jars of baby food. nothing better than a home cooked meal. My favorite thing in the kitchen in my Kitchen Aid mixer and one of your books. My husband when he’s cooking is my favorite thing in the kitchen! When he’s not cooking it’s my dishwasher because I HATE doing dishes by hand! I’ve been waiting for this for awhile now…thanks for the chance to win an ARC copy! My favorite things in the kitchen is my coffee maker and dishwasher. Let the machine do the dishes while I have my coffee. The favorite thing in my kitchen is the junk drawer. Whenever I need something, it is bound to be in there! My favourite thing in the kitchen is my kettle. I am always drinking tea of some flavour. This week I am very sick. Haven’t been this sick in 4 years so my kettle has been my best friend. My favorite thing is my slow cooker, fill it up, turn it on and go to work, come home to a hot home cooked meal! My favorite appliance in my kitchen is my Mr Coffee kcup machine. I love being able to make coffer, tea, hot chocolate, etc. with one machine. My favorite thing in my kitchen is the food. I’m am not a great cook, but I enjoy preparing meals for my children. It makes me feel like I’m giving them something special. And also, I really like to eat. The favorite thing in my kitchen is the dishwasher. I can cook up a storm and have the help of piling it all up in the dishwasher and pushing the button. My favorite thing in the kitchen would be my radio!!! I could not do any cooking or cutting without my radio! My favorite thing in my kitchen is my husband at the stove. :). He is the cook in our house. My most favorite item in my kitchen are my grandmother and mother-in-law’s church cookbooks. As with my grandmother’s it was the only time she ever wrote recipes down, and all my hubby’s childhood favs are in my mom-in-law’s. My favorite appliance is my bread-maker. Love waking up in the mornings to freshly baked bread. Can’t wait to read Nautier and Wilder! Somebody else in the kitchen cooking and cleaning! Not my thing. I would rather read! Love your books! I try to avoid the kitchen at all cost, but if I had to choose I’d say the microwave because it makes my life so much easier! I avoid the kitchen. The two of us do not get along at all. Thank goodness the hubs can cook, because if he didn’t the kids and I might starve, lol! My favorite room is the kitchen. That seems to be where everyone gathers. My kids are grown up now, so we all cook together which makes it fun instead of a chore! I’ve been waiting for this book FOREVER!!! I can’t believe it’s really coming out! My favorite thing in my kitchen…Tie between my espresso maker and the microwave. I also collect old pyrex nesting bowls that have lip handles to use in said microwave. I’d be hard pressed to give them up. My favorite thing in my kitchen is a cast iron skillet that was my grandmothers…It makes me think of the times when I was growing up and I can still see her standing at the stove, making the most wonderful food. The best thing about my kitchen is it is new. Our town flooded in 2010. We had to replace all the floors and cabinets, dishwasher and freezer. I would have to say it is the electric wok. It makes quick healthy fast foods. Though I have to say the microwave is not far behind. My Tardis (Dr. Who) cookie jar, it makes noise when you open the lid. My kids hate it because they can’t sneak cookies without someone hearing! My favorite thing in the kitchen is the magic bullet. It takes that thing way less time to chop and blend food than it does me by hand. I also love my family because they help keep the kitchen clean bc I do all the cooking. Mine is the Crockpot. I love being able to throw stuff together in 5 mins or less in the morning before work and then 8 hours later, it’s about done. Also it makes my house smell delicious!! I’ve been waiting for Jed for a year!!! I avoid the kitchen most of the time but my favorite think in there is the microwave!!!!!!!!!! My favorite thing is my microwave. I don’t like to cook, but I am a professional re-heater! My favorite thing in the kitchen is my kitchen aid mixer and not only that but the cabinet it sits in!! I can open the door and the shelf that the mixer sits on pops up and out! No more killing myself to get the heavy thing out to use!! My favorite thing is my Sodastream right now! I love being able to make all kinds of fresh carbonated drinks, especially with my own fruit! Bubbly drinks make me happy! 🙂 So do Nauti Boys!! Thanks for the fun contest! My favorite appliance in the kitchen is our ice cream maker. I am the best mom in the world when I make the kids their favorite ice cream. My favorite thing in my kitchen is my husband. He’s the cook in the family and he creates some delicious meals. And sometimes it’s one or the other of us on the menu! My favorite thing in my kitchen is my oven. I call it a smart oven. I can do anything I want with it and it also convects. Next best thing is my wine cooler. My pampered chef cookie press. My favorite thing in my kitchen is the dishwasher. Thanks for the great giveaway. I love my Kuerig! It makes my life so much easier in the morning. Other people in my house like lighter coffee but I’m a bold coffee drinker. Now that I have it I don’t want to live without it! Well I generally avoid the kitchen as I can’t cook, well I guess that happens when you are the youngest in your family. But I like the pretty pots my mom have they are colorful. I hate cooking so I’m not fond of any appliance in the kitchen! LOL!! I couldn’t live without my dishwasher though!! I would cry if that thing stopped working! I love my stove/oven, Because I love to bake and I have a great stove for that.. My favorite is Peach Cobbler, mmmm.. 😉 thx. My favorite item in my kitchen is my espresso machine! My husband gave it to me for my brithday and I have so enjoyed playing barista every day and saving all that money from not going to the coffee shop! My Shun Sumo Santoku chef’s knive. Couldn’t get along without it! Even my Hubs loves it when he sous-chefs for me. My coffe maker, can’t live without the stuff. Defiantly my mixer. Without it it would be a lot harder to make all my favorite cookies. Lol. My coffeemaker. I don’t know how I would start the day without it. My husband because he is a better cook than I am and he will do dishes. My favorite appliance is my Kitchen aide mixer in red. Love it. My favorite thing in my kitchen is my brown rice cooker with steaming attachment. I love steaming veggies for meals and it is super convenient to be cooking brown rice and having the veggies steam in the process, especially broccoli and zucchini! My favorite thing is my cobalt blue kithenaid mixer (and matching food processor). Both are compliments of my mother in law. They are absolutely fabulous! My spices are a must. The food just wouldn’t taste the same. I love your books! Can’t wait until Nautier and Wilder comes out! Vitamix blender! I use at least 2-3 times a day, from making green smoothies for my kids, soup, guacamole, and the list goes on and on. Best purchase ever! The best thing in my kitchen is my heavy duty automatic cork screw..can’t cook anything without wine!!!! Really my favorite thing in the kitchen is when my husband goes in there and helps book and then does the dishes lol Seriously! My favorite kitchen item is dishwasher. I would hate to wash them by hand. My favorite thing my kitchen is my griddle. I use it all the time. My favorite thing in my kitchen is my oven. The possibilities are endless when it comes to baking! By far one of my favorite of hobbies. Yum! Would have to be the microwave. We are never home enough for me to cook! My favorite thing is my brownie pan. I can’t live without it. My potatoe peeler! It is Pampered Chef and the best thing ever I lost one and asked my Bff for one for Christmas that is all I wanted and was so thrilled when I got not one but two!! Kitchen aid-Coffee Grinder & coffeemaker! My favorite thing in the kitchen is my coffee maker. I just can not survive without my morning coffee. My second favorite thing is a new stove top espresso maker. It was a Christmas present from a friend’s mom. She included coffee and complete instructions on how to make Cuban coffee. Love my coffee. My very favorite thing in my kitchen which I can’t live without is my husband when he makes my coffee every morning. He doesn’t drink coffee but he makes a mean pot and he knows I can’t even see straight without my daily jolt of caffine. My favorite thing in the kitchen is my grill–or someone else cooking for me! I LOVE my Foreman Grill. It is my favorite, I grill just about everything on it. My favorite thing in my kitchen is my fun blue hot pad! My favorite thing is my Belgium waffle maker. My oven because I like to bake for my family! My bullet, I love to use it to make smoothies!! My favorite thing in my kitchen is my coffee pots..yes I said coffee pots. I have 3 and they all seat on my counter. My coffee maker…I love love love my coffee. I wish I liked cooking…but I’d much rather bake! My favorite items in the kitchen though are the coffee pot and the microwave! My measuring cups I love to bake. My Favorite thing in the kitchen has to be my oven. My sons and I make cookies and other yummy treats together to bake, so not only does the oven serve it’s purpose but also allows for my kids and I to spend alot of fun time together! It has to be my dishwasher!! I don’t mind cooking a yummy meal, but I do hate doing the dishes. Favorite thing in the kitchen my Keurig. My favorite thing in my kitchen is my coffe mugs. A good cup of coffe to start the day. Favorite thing is my rice cooker and vegetable steamer, I love the way the vegetables taste!!! My favorite thing in the kitchen is my imagination! I can put together a great meal from a cookbook, Pinterest, or my experience all while trying to figure out where the story is going next. My coffee maker & kitchenaid mixer! I know that this may sound strange but my favorite thing in my kitchen is my radio! I love to be in the kitchen cooking and enjoying the music. I dance around while I am cooking and sometimes my 6 year old son will come in and be my dance partner! Im an avoider. Really not that great a cook. I have a few, but the one I use most would probably be my Pampered Chef batter bowl. My favourite thing in the kitchen is my microwave on the days that I can’t be bothered cooking, which happens too often since I work in fast food. When I do feel like cooking though, my favourite things are my recipe books and my knife block which keeps my knives sharp. My favourite thing is my dishwasher, 3 kids under 6 and a husband who is allergic to washing dishes, it lets me leave the kitchen for a while. I didn’t have one a few years back when my yougest was a baby trust me it felt like I never left the kitchen, once you go without the more you appreciate it. My new favorite thing in my kitchen is my laptop!! Since I’ve been hangin’ out on Pinterest, I’ve found so many recipes (casseroles,desserts, EVERYTHING!) that are super easy, inexpensive and GOOD!! I’ve bookmarked so many….and everything so far has turned out really well! Sometimes I tweak the recipes a bit to accommodate what I have on hand. The family is thrilled to have some new items on the menu AND that there’s a better chance of them having a good, warm meal on the nights that I work late! My favourite item in the kitchen is my coffee machine! Love a good cup of coffee in the morning! It’s a toss up between the coffee maker, the slow cooker, and my pampered chef gadgets. I love kitchen gadgets! Without a doubt it is my coffee maker! My favorite kitchen item is my new red microwave! Matches the red stand mixer and red toaster. We had to get a red tea kettle to complete the look. My favorite thing in my Kitchen is definitely my refrigerator…I love to open it, stare at the contents and find wonderful food to eat! LOL My hubby does most of the cooking these days…so I can finally be lazy in the kitchen…so food is definitely my number one favorite thing at the moment over appliances! Thanks you for the great give-away…I have my fingers crossed and holding on to my 4-leaf clover! My favorite thing in my kitchen is my mini food chopper. I use if for several things that I make on a regular basis such as guacamole and sausage balls, and the food chopper makes it so much easier to make these items. My Kitchenaid mixer since I love to bake. My absolute favorite thing in my kitchen is my George Foreman grill! George is the man!!!!! I take it with me when I know I have to cook!!!!!! My Rachael Ray cookware is my favorite. Thank you for the giveaway. My stove is my favorite item in the kitchen. It is from somewhere late 1920’s to early 1930’s. It appears small on 4 tall legs, but has 4 burners, and an oven that a 24 pound turkey can fit into, and has a temp control. My husband usually says I’m half Chinese or Japanese which is alright because I usually cook Japanese or Chinese food, hahaha. I would have to say my blender because every night my two girls sit at the counter while I make them each an ice cream shakes and talk about there day!! I’d have to say my favorite thing is my oven. I can bake or cook many great things in there! Sigh seeing as I don’t cook too much I must say right now my favorite thing is my microwave followed by my crockpot. My favorite thing in the kitchen is the crockpot. it’s so easy to make a good meal in a matter of minutes. very convient from somebody that is limited in cooking, lol! My favorite thing in my kitchen at the moment is probably the toaster. We have been on a real toast kick lately. 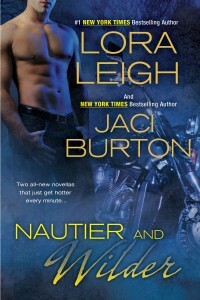 Thanks for the chance to win an ARC of Nautier and Wilder! It’s a toss between my Vitamix and my dishwasher. Thanks for the chance to win. My favorite kitchen item would be my KitchenAid stand mixer. It’s a lovely pistachio green and gets quite a workout! Although I would be fairly unhappy without my dishwasher …. My Keurig coffee maker….I couldn’t function day in and day out without it! I love my crockpot! Dinner is ready when I get home… I do miss a dishwasher though… that would be my ultimate favorite! My favorite kitchen item is my coffeemaker!! I’d be lost without it!! I love my dishwasher. Despise doing dishes!!! I have 2 faves….my Kurig and my crockpot! My favorite item u the kitchen is the oven because I like to bake. I love making cookies from scratch and making bread. Love the smells! I absolutely love my Sodastreamer. As a huge fan of sparkling water, this is a $$$ savor. When my water goes flat, I can make it sparkly again! My favorite thing in my kitchen is our new stainless Kenmore fridge. LOVE IT!!! My favorite thing in the kitchen is my husband cooking. Ever since since the company he worked for went bankrupt so publicly he cooks all of our meals & breads. my favorite thing in the kitchen is everything!!! i love to cook and bake!! !